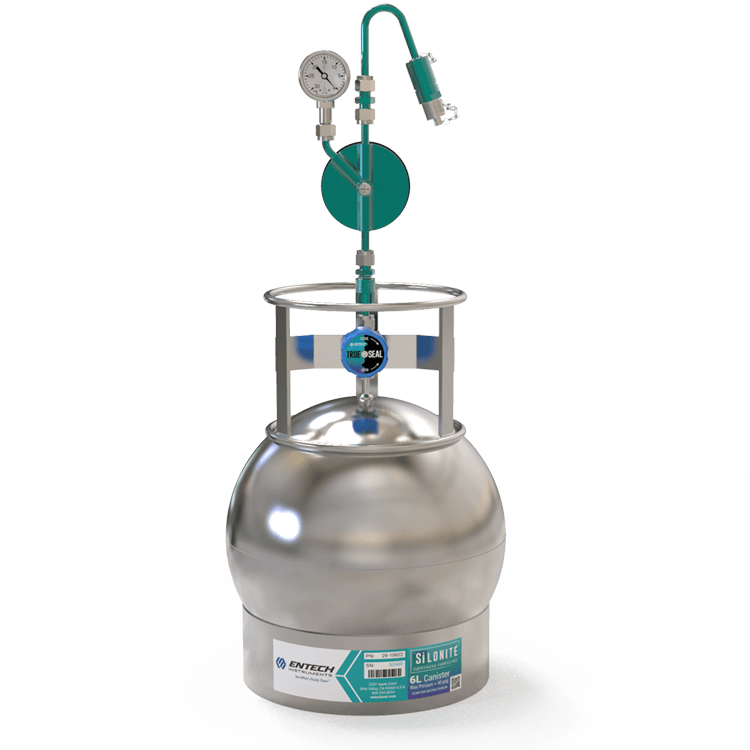 Sampling soil gas into canisters provides significant advantages over the use of passive adsorbent samplers with regard to both maintaining the integrity of the sample in the field and ensuring that the best analytical technique is used in the laboratory. Canisters eliminate the need for pumps, batteries, and media selection, and the same sampling approach can be utilized for any gas concentration while being universal for all compounds. Furthermore, humidity and temperature concerns inherent with tube sampling do not affect canister accuracy. 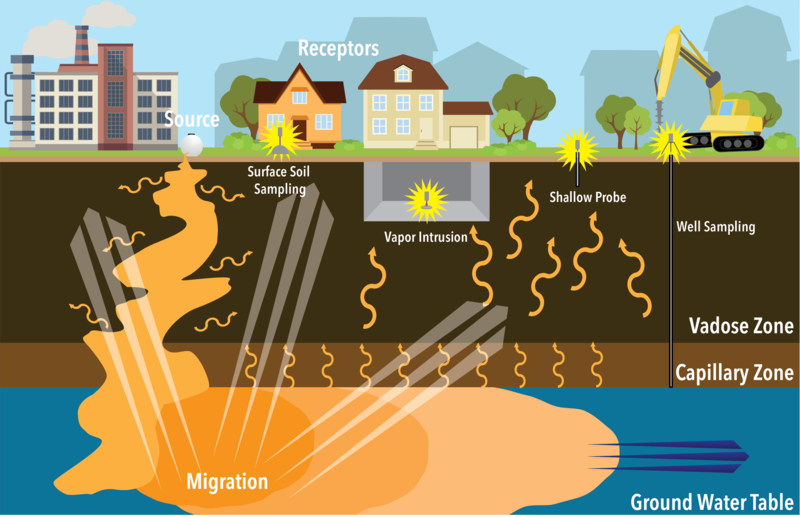 Entech has a long history of engineering turn-key solutions specific to the environments being sampled. 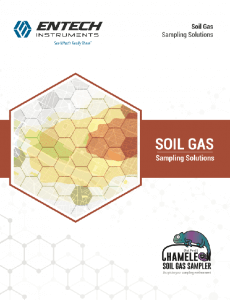 Designed with feedback from numerous sampling professionals, the Chameleon provides an all-in-one solution that is changing the way soil gas studies are conducted world-wide. 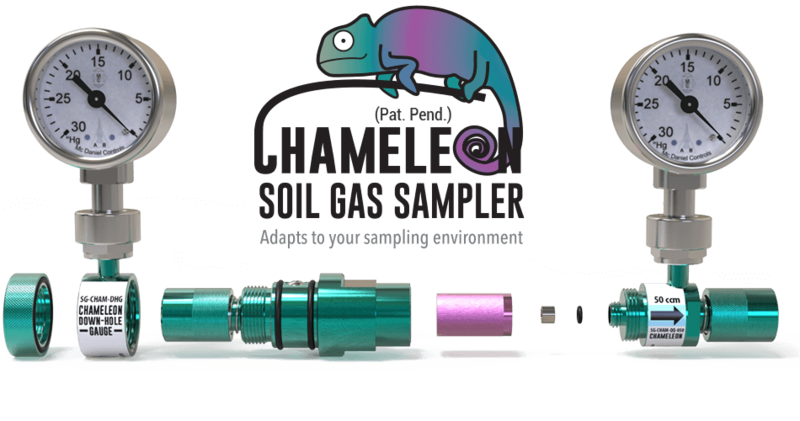 The Chameleon Soil Gas Sampler fits all your Soil Gas Sampling needs! 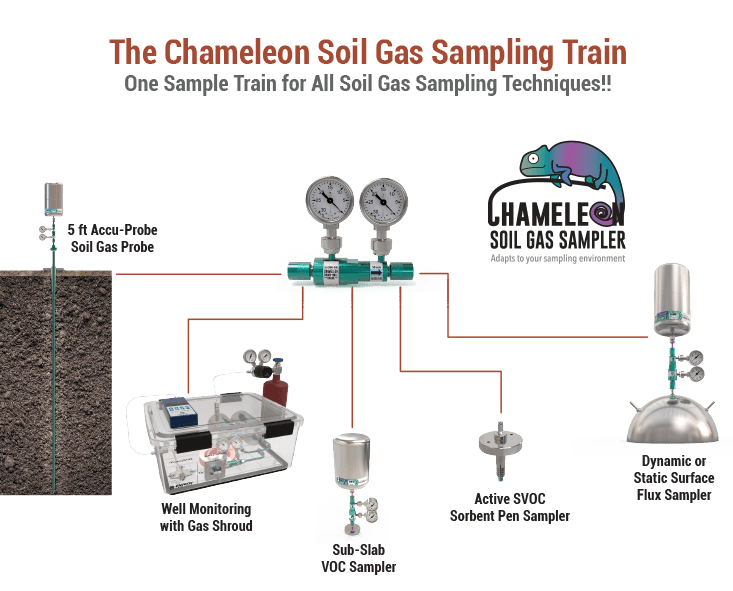 The Chameleon improves the accuracy of soil gas sampling by applying basic principles of gas chromatography. Chameleon maximizes recovery while minimizing carryover to yield the most accurate soil gas sample train available. • Ensure all surfaces are inert (Entech Silonite™ coated stainless steel). • Minimize surface area and shorten path lengths to canister. • Minimize leak prone connections by engineering and machining custom solutions. • Eliminate absorption (no plastic tubing where possible) . • Prove system is leak-tight before delivery to field. • Isolate the flow path from the outside world during transportation. 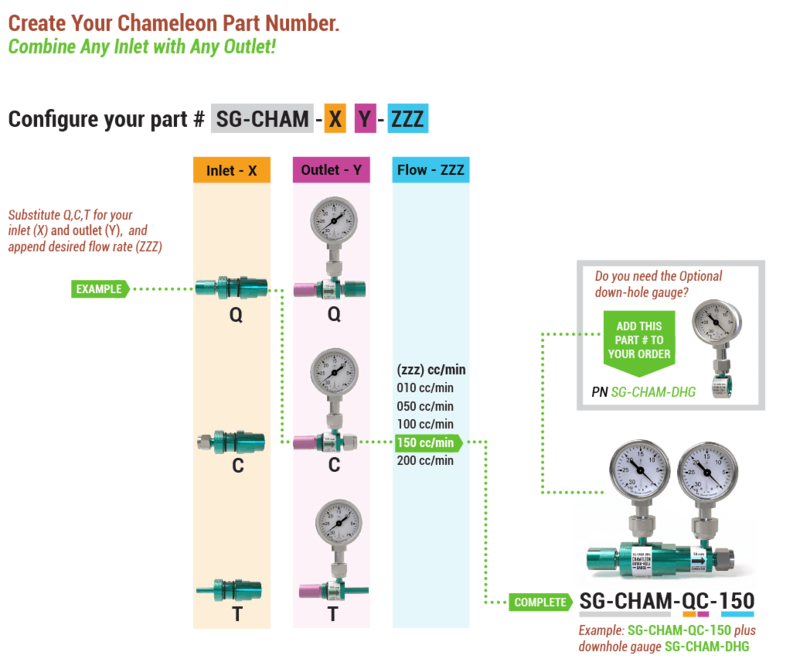 • The Chameleon can be configured to minimize compression fittings based on the probe, line, or fitting to which it connects. • The inlet and outlet can be configured separately to optimize the sample train. 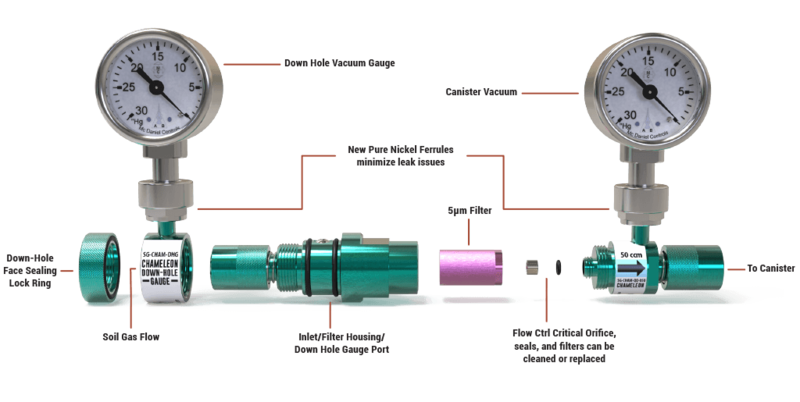 • The down hole vacuum gauge monitor can be added to any configuration, and verifies that excessive vacuum is not forming in the soil (<7.3” Hg vacuum). • All configurations can be maintained under vacuum during shipment to the field to perform the shut-in test (leak test) automatically. Industry standard for time integrated sampling, from 1 hour to 1 month!! 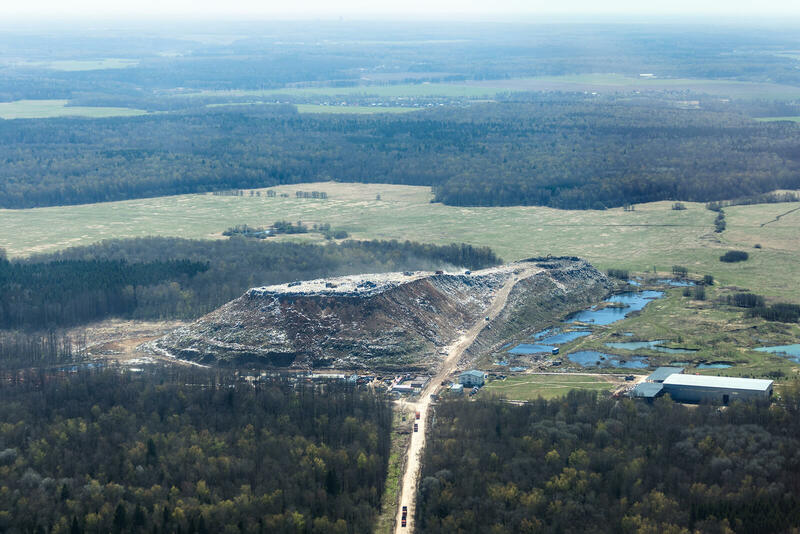 Proven recovery of low level TO15 compounds to sub-PPBv levels (Ap Note 2014-05). Ultra low background, allowing measurements down to 10^-6 risk factors reliably, even for compounds requiring detection down to 2 part per trillion. Tool-free operation when using Micro QT Valve Option. Easy start/stop automation if needed with TM1200 Timer. Now even better with improved Silonite™ coating!! Sampling soil gas into canisters provides significant advantages over the use of passive adsorbent samplers with regard to both maintaining the integrity of the sample in the eld and ensuring that the best analytical technique is used in the laboratory.